Police have started an investigation in Atlanta after a video camera was found last week inside a Starbucks restroom in a suburb of Georgia’s capital. A customer, who is 25, reportedly located the device early last week taped under the baby changing station of the family bathroom at the coffeehouse chain. A report filed by the police says that the woman who found the video camera removed it and then immediately alerted the store’s manager. After being told about the camera the manager called the corporate offices of Starbucks to let them know about the incident. A spokesperson from the coffeehouse chain said the company was very concerned when it learned of the camera being found inside the bathroom and was grateful that one if its customers took immediate action by taking the camera down and by contacting the store manager who also contacted local authorities immediately. As soon as police arrived, the manager handed over the camera to them as evidence and for law enforcement to inspect. Authorities shortly thereafter said they had found 25 videos that were stored on the camera, of which several of them reportedly showed people while they used the restroom. One police officer, who did not give his name, told the media that authorities had discovered the video camera had close to an hour of recorded video and that detectives found between 8 and 10 males and females videotaped while using the restroom. The officer added that the quality of the video was poor and that there were no “private parts” visible in the video. Police said they do not have any suspects to identify at this time and that whoever is the responsible part for this faces charges of eavesdropping and that crime is considered a felony. 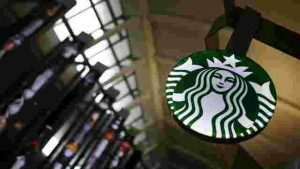 This discovery of the video camera came less than one week after Starbucks faced a backlash nationwide over an incident in Philadelphia at one of their locations in which police arrested a pair of men, who were black, for allegedly trespassing.